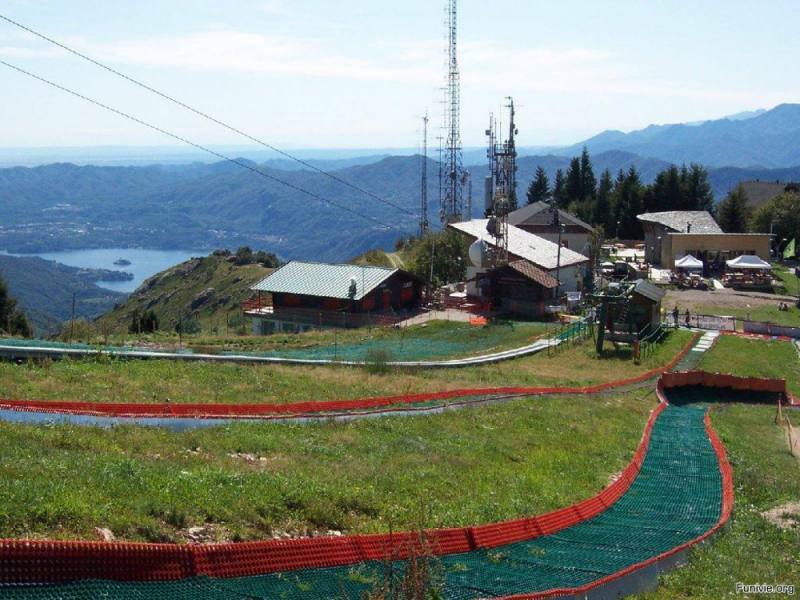 The summit of Mount Mottarone (1,491 m asl) can easily be reached by car from Lake Orta and Armeno (provincial road 41), or on the other side from Stresa and Gignese. 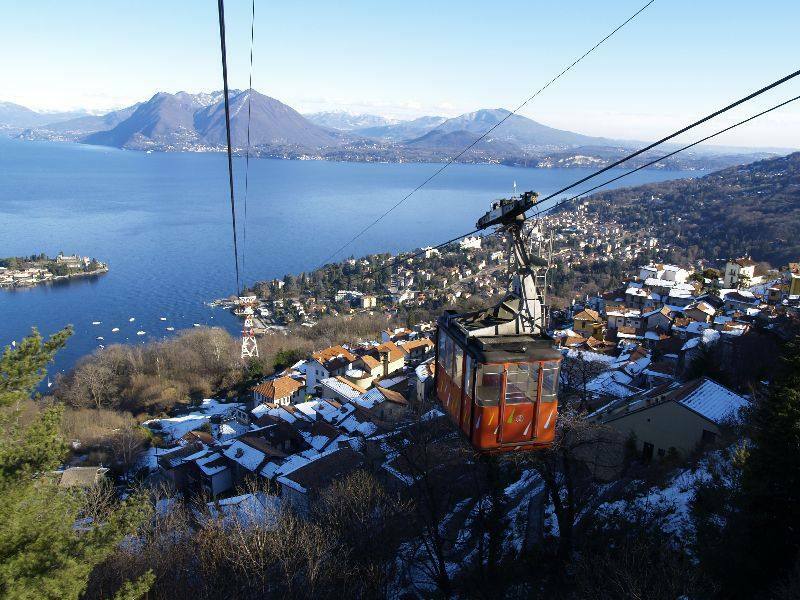 The mountain can also be reached from Lake Maggiore using the funicular railway departing from Stresa Lido. 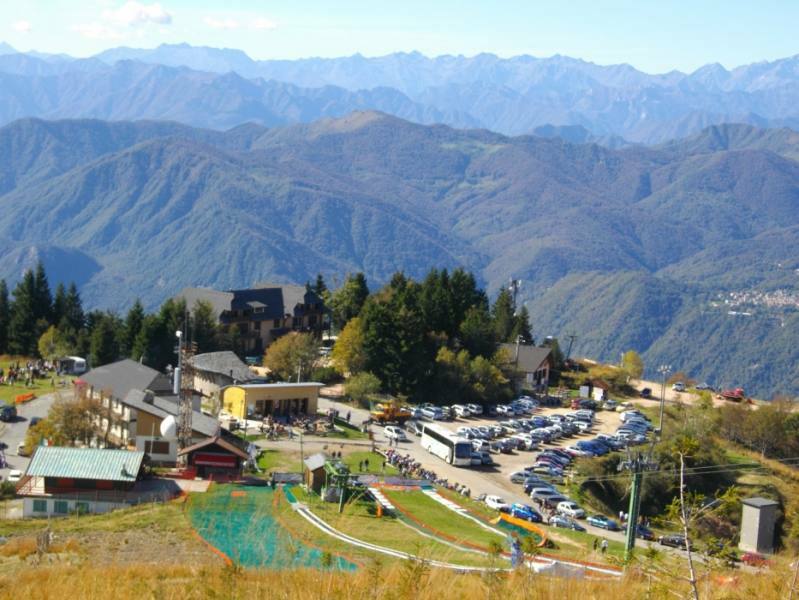 Mount Mottarone is especially known for its position and astounding 360° view. The mountain between two lakes is precisely in a dominating position both over the Cusio area and over Lake Maggiore and nothing hinders the view from here. The strada private Borromea (private road, which still belongs to the Borromeo family) was opened to cars in 1948. A toll was collected at the time. 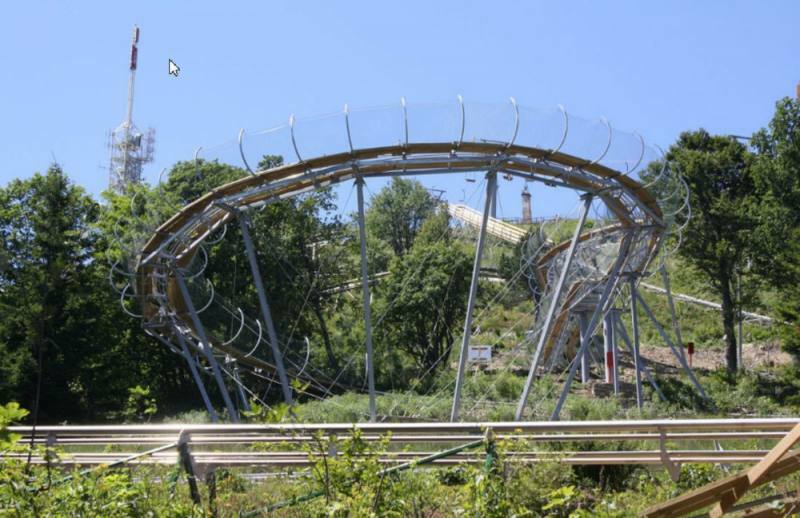 It climbs for approximately 9 km to the summit at Alpino (town near Gignese). 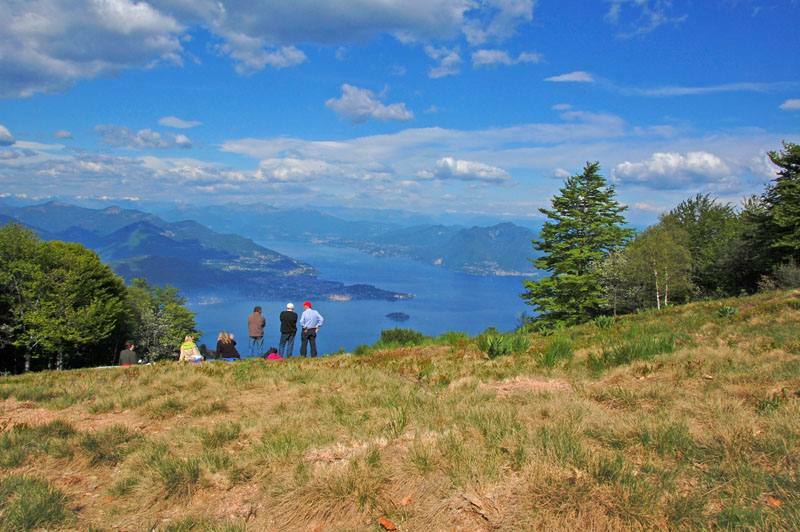 The Borromeo family started taking interest in Mount Mottarone starting in the 17th century. In 1680, a Borromeo family member had an oratory built at approximately 1,000 m for the inhabitants of the Alps. Construction on the panoramic road started in 1892. 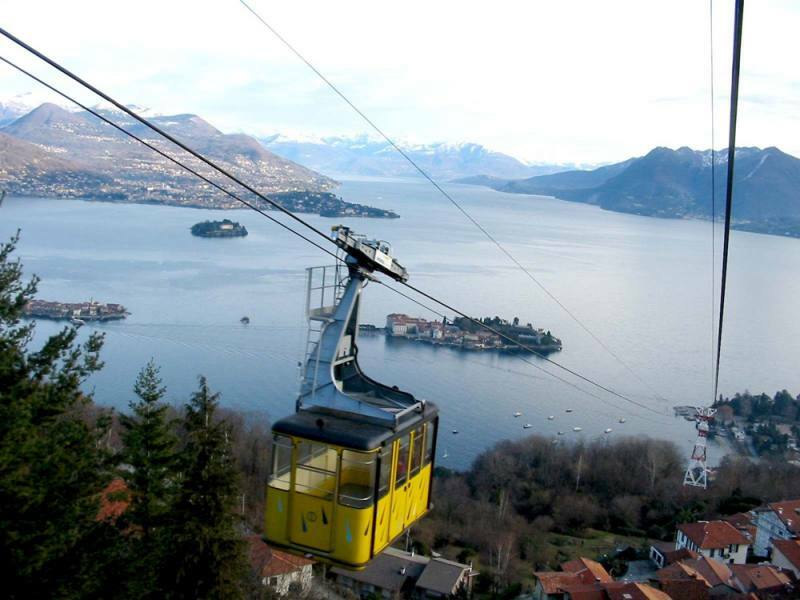 The Stresa-Mottarone funicular railway was inaugurated in 1970. It just has one stop at Giardino Alpinia (Alpinia Garden) and Gignese. It only takes 18 minutes to climb from the lake to the ski slopes or to the cool mountain air in the summer. It replaced an electric railway (partially a rack railway) that travelled from Stresa-Mottarone in less than 1 hour and had 6 stops along the way (it was later classified as a suburban tramway). The point of departure was in downtown Stresa close to the lakeside promenade and next to the FS train station. The Stresa Mottarone Railway was permanently closed in 1963. 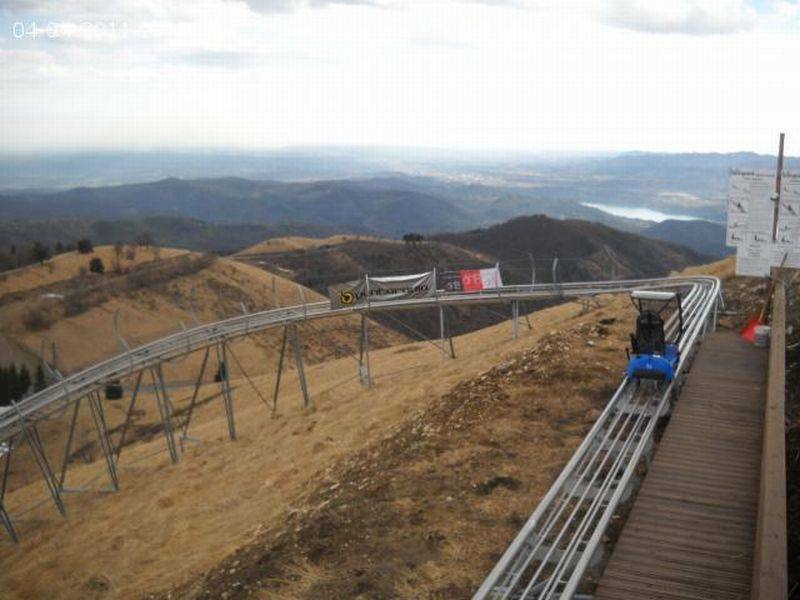 This was due to the connection by road and train that contributed to making ski tourism popular on Mount Mottarone. 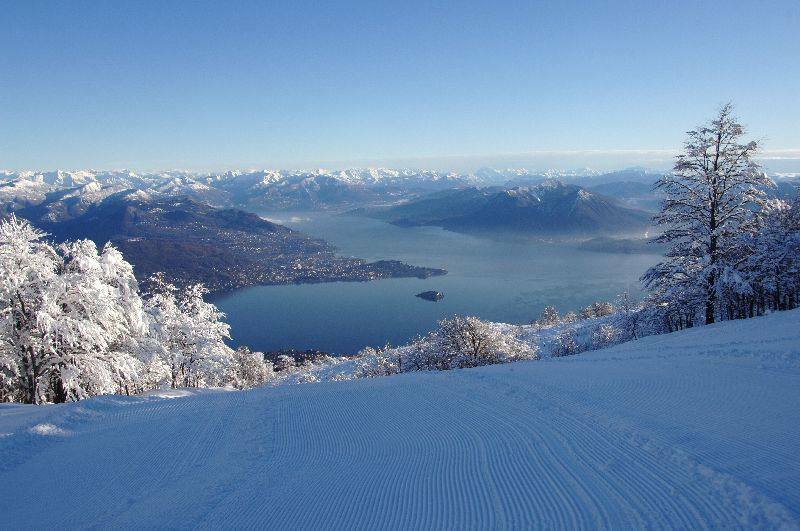 In fact, the first international ski competition in Italy was held here in 1935. 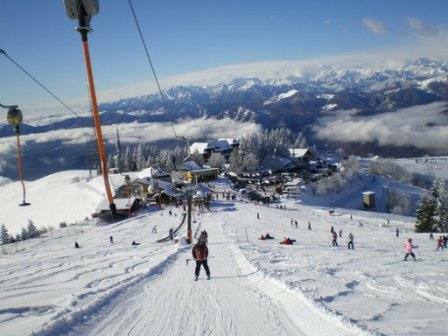 Mount Mottarone is a fascinating place - not only in the winter and not only for skiing. 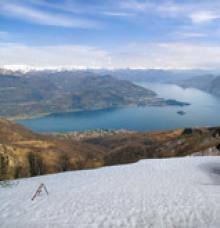 The summit has an unforgettable view of the Pre-Alp lakes (Lake Maggiore, Lake Orta, Lake Mergozzo, Lake Monate, Lake Comabbio and Lake Varese), the Italian and Swiss Alps and the plain of the Po. The mountain is a year-round destination for nature lovers: numerous paths have something for everyone (hikers, cyclists, horseback riders…) of all ages and in all kinds of shape. The entire area offers marvellous natural scenery: fields, streams, luxuriant woods - so much so that there was talk a few years ago of a regional park and the creation of a nature park (Mottarone Park), which was later shelved.